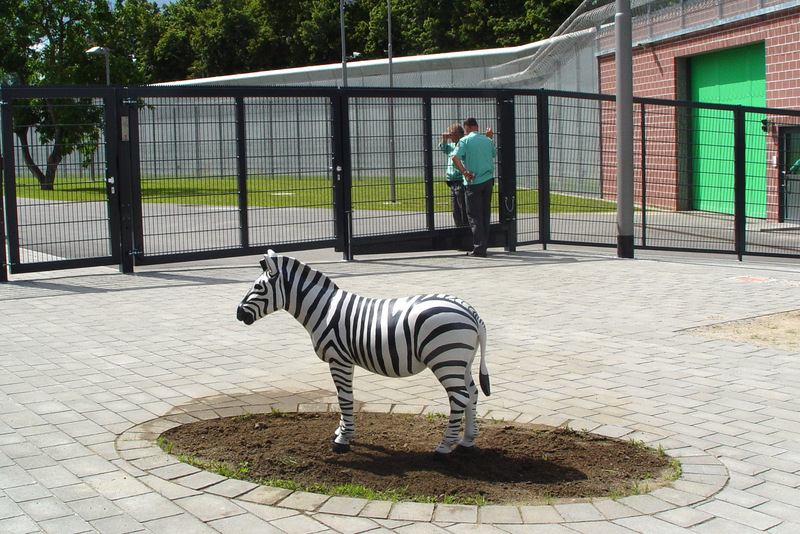 A small, oval, fenced-in island of grass has been set into the footpath between the gate and the visitor’s area of Penitentiary Wriezen. 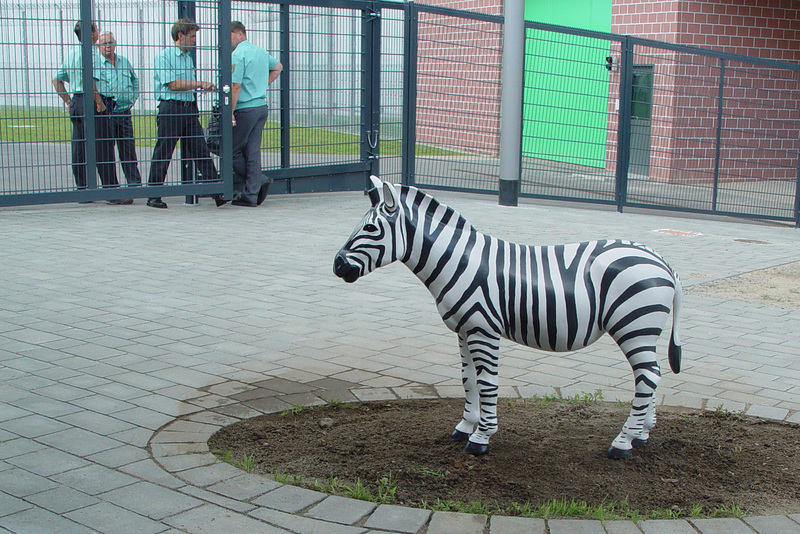 A naturalistically painted bronze sculpture of a miniature zebra is on the patch of grass. 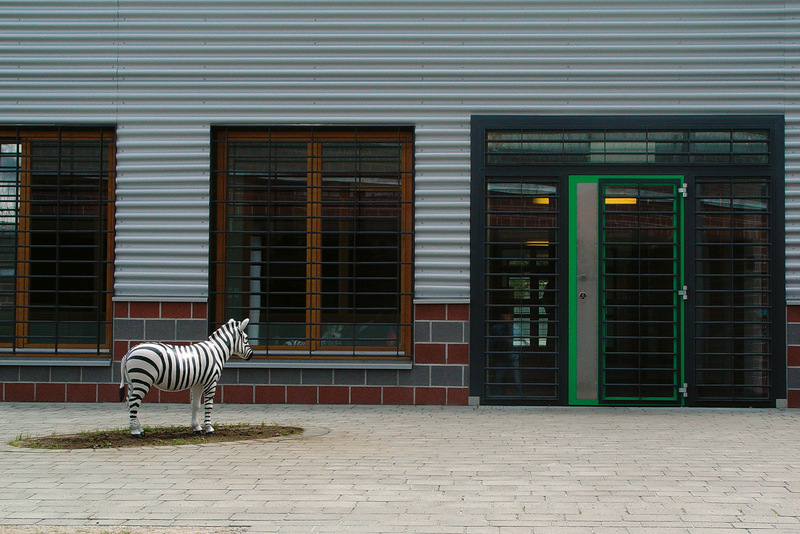 The zebra, a herd animal normally gregarious in the wild, is placed in isolation here in its own enclosure. 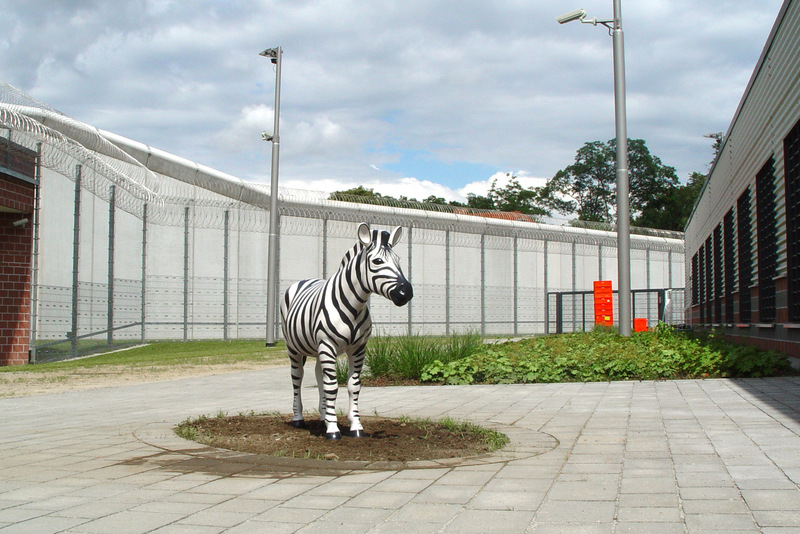 The contextualization of prison as a site opens up new ways of viewing the sculpture.